Suicide bombings plague Israel, the Middle East, North Africa, Europe, Asia, and the United States. Homegrown terrorists bent on violent jihad are springing up in Europe, Canada, and the U.S. War between Israel and Iran seems imminent. The whole planet is now experiencing what the Israelis’ have experienced, and experienced intimately, for 30 years or more, and the world gasps at what is transpiring. The truth is, the twenty first century has hardly begun and the body toll is rising. The pressure is mounting. The world is about to come apart. For all intents and purposes, you could say this looks a lot like the beginning of the end of the world—and you wouldn’t be far from the truth. In fact, you would be right. This is the beginning of the end of the world. (1) Can you survive it? (2) And if you can, how? (1) You must be prepared. (2) You must have a survival plan. These rules can be applied to the end of the world as we know it, often referred to as the End Times, via the Book of Revelation, the ultimate survival handbook with the ultimate survival plan. Nevertheless, it is a complex survival handbook filled with complicated symbols of prophecy, formidable mathematics and provocative concepts. Indeed, it is hard to follow and it is difficult to understand. All the same, it is a book that is meant to be studied so that its sealed contents can be unsealed—we are meant to know and comprehend the nature of it (Rev. 22:10; Dan. 12:9). 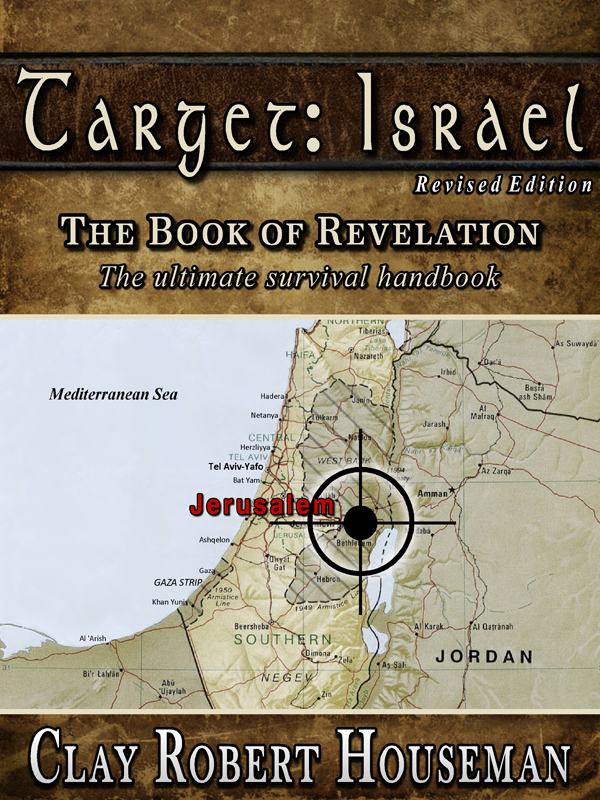 Target: Israel is the manual to that complex survival handbook known as the Book of Revelation. Practical, theoretical, and spiritual models will guide you on your path to eternal survival, clarifying the complex information within the Book of Revelation. You are encouraged to keep a Bible, the indispensable and required companion study-source to this manual, close at hand so that you can refer to it constantly, for that is exactly what you will have to do. It should be clear that in light of the End Times this manual is an essential survival tool, but because there is much within Target: Israel that you can apply to daily life and events, it can also aid you in your immediate and ongoing spiritual journey. You can purchase the book online from Smashwords in multiple eBook formats at http://www.smashwords.com/books/view/88924.